How do people in different countries drink coffee? 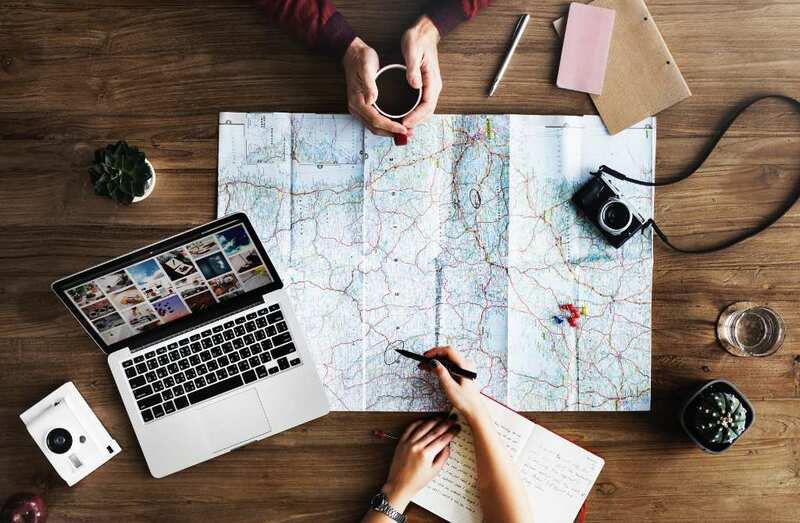 Whether you’re travelling to another hemisphere or just going to a neighbouring country, try out the local coffee culture. Coffee is one of the most beloved beverages in the world, but everyone likes it a bit different. Some have it iced, some piping hot, others with a bit of condensed milk or spices. Each country has its own way of preparing and drinking it. Also from our blog: What a strange coffee! Kopi Luwak, the infamous poop coffee. Click on the images below to discover some of the wonderful coffee rituals and traditions around the world! The traditional preparation of Turkish coffee and its important social role have secured it a place among UNESCO’S List of Intangible Cultural Heritage of Humanity. 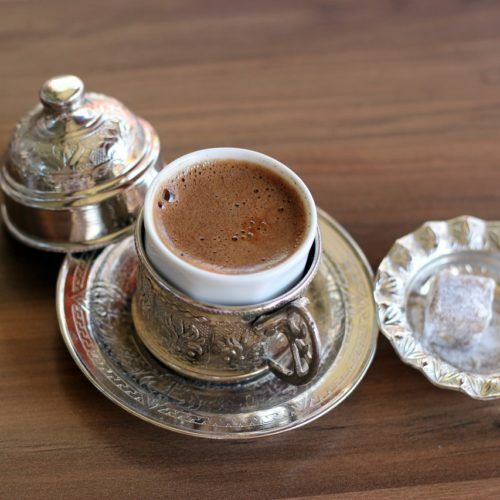 Turkish coffee is a thick, foamy beverage served in small cups, usually with a glass of water. The methods of preparations are passed on in the family. Basically, a finely ground powder of freshly roasted beans is mixed with sugar and slowly brewed over the stove in a pot called cezve. It plays a big role on social occasions such as engagement ceremonies and holidays. It is mainly drunk in coffee-houses where people meet to converse and exchange news. When you finish drinking, the coffee grounds left at the bottom of the cup may be used to tell a person’s fortune. 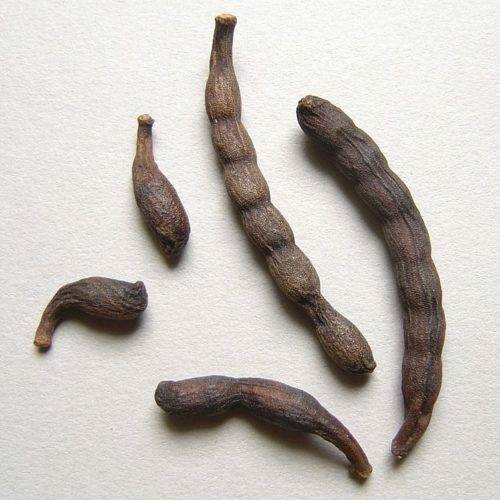 Touba coffee is named after the holy city of Touba in Senegal. Apparently, Cheikh Amadou Bamba Mbacké, founder of the Islamic Mouride brotherhood, brought the recipe to the country at the beginning of the 20th century, after his exile in Gabon. 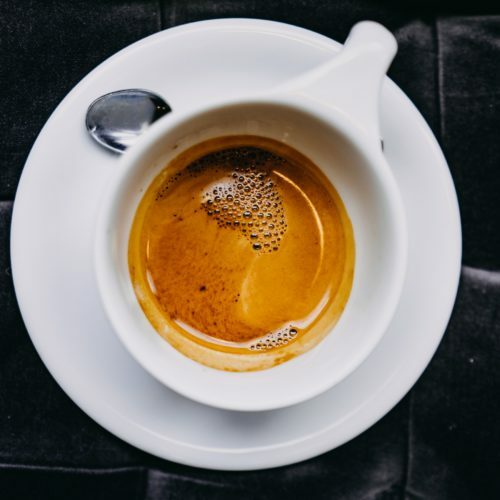 Coffee has often been used to help stay awake through the recital of prayers (one of the first uses apparently) and this coffee adds even more of a kick with the addition of Grains of Selim: an African black pepper, known in Wolof as djar. You can enjoy it for breakfast from street stalls where vendors mix it acrobatically in recognisable pink cups, while entertaining their clients with anecdotes and stories. 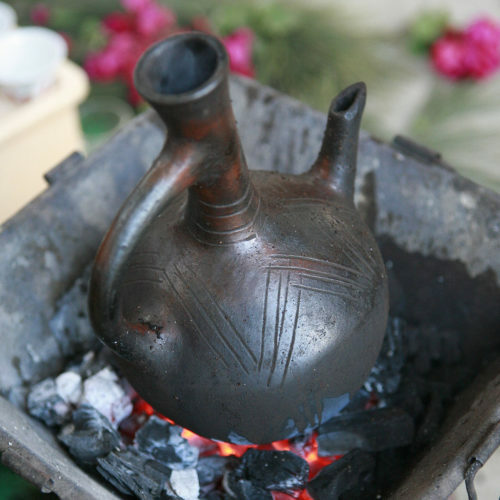 Ethiopia is the birthplace of coffee and coffee ceremonies are still an important aspect of Ethiopian social life shared with friends and neighbours. The whole process can be long and involves roasting the green beans over hot coal in a brazier, then coarsely grinding them in a wooden mortar with a pestle and finally boiling them in a clay vessel with a long neck called, jebena. Then it is transferred to another container where it boils again. After serving, the grounds can be reused up to three times. 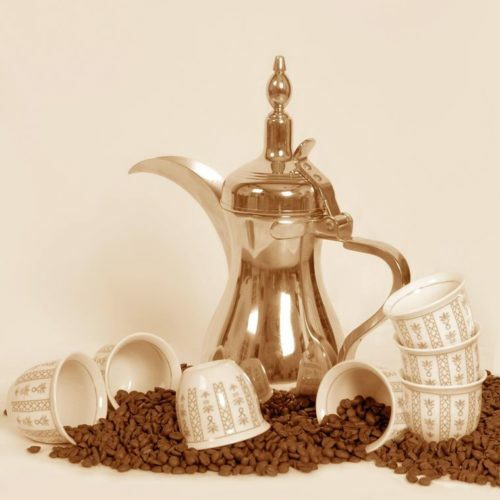 Arab coffee has a long-standing tradition, one of the oldest in fact. Wild coffee plants were first cultivated in the Arabian peninsula around the 15th century. Not surprisingly, one of the most popular variety of beans around the world is the Arabica! Like Turkish coffee, UNESCO has included it in the List of the Intangible Cultural Heritage of Humanity for its relevant social role in Arab society: it is indeed a symbol of generosity and hospitality. But do not confuse it with Turkish coffee: they are two very different drinks! Arab coffee is a clear and golden drink, often infused with spices such as cardamom, cloves, cinnamon, and saffron. It is served in a demi-tasse with dates, dried fruits or nuts. It is usually enjoyed in the house and traditionally the whole process of preparation is performed in front of the guests: the roasting, grinding and brewing. 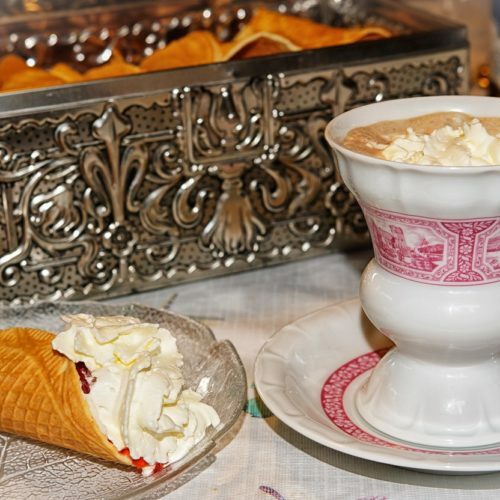 Moreover, the host will follow a serving etiquette: the most important or oldest guest first, filling only one-third of the cup, called finjan. It is polite to drink at least one cup but not more than three and guests can show they are done by shaking the cup. Like all genius discoveries, Frappé was invented by chance. In 1957, Dimitris Vakondios was in Thessaloniki at the International Trade Fair working for Nestlé. They were introducing a new chocolate beverage which was produced using a shaker. While on a break, wanting to drink his usual Nescafé Classic, he couldn’t find any hot water, so he mixed his instant coffee with some cold water in the shaker. It’s a foamy, iced drink, the ancestor of Frappuccino. Water, instant coffee and sugar are rapidly mixed in the shaker and served in a tall glass on ice. Some evaporated milk might be added. Apparently, instant coffee, very low on oils, is essential for a thick and stable foam that make it feel like an espresso crema. Italians are deeply protective of their coffee drinking style and will criticise anyone abroad who makes an attempt at reproducing the smooth, condensed coffee they invented: the espresso. Espresso is made by forcing pressurised hot water through a handful of coffee powder producing a short, concentrated drink. Invented at the beginning of the 20th century, it was perfected in 1947 when it acquired its top layer of crema. Now espresso is used in many different drinks all around the world, but in Italy the drink takes around 30 seconds to make and the expert barista rapidly serves the customers standing at the bar who often down it in one shot. Every municipality has to impose a maximum price for espresso, considered as a basic need which must be available, thus affordable, to anyone. With a warning: they will charge you more if you’re sitting at a table. What do flying boats and Irish coffee have in common? Let me explain their weird connection. In 1942, if you wanted to go from Europe to the states by plane you had to take a flying boat from Foynes, on the Irish west coast, to Botwood, Newfoundland, and then you could go off to New York or something like that. One night, a flight on this route had to go back to base due to bad weather conditions— which was not unusual. For the cold passengers back from their miserable half journey, the Restaurant of the airport was to prepare food and drink. Hot coffee, Irish whiskey, sugar, topped with thick cream, who wouldn’t love that after a rainy day? Where would the French be without their croissants dunk in a cup of coffee and milk in the morning? The love story between the French people and café au lait is nearly as old as coffee’s introduction to the country. 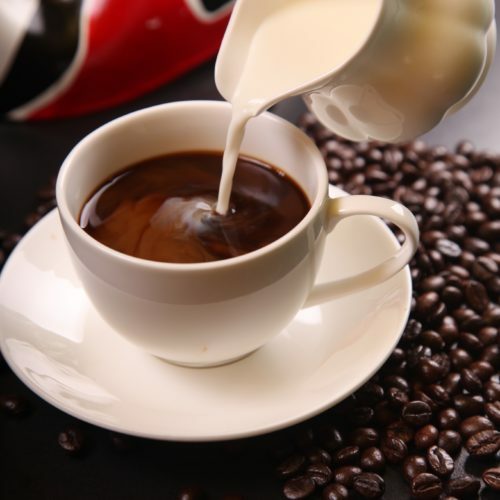 Coffee first arrived in France in the 1600s through Turkish mariners in the port of Marseille. While in the beginning the bitter taste was reduced by adding sugar or honey, soon people started diluting it with milk instead. In 1685, Doctor Monin from Grenoble was praising the virtues of this chocolate-tasting drink to stop the cough and fatten the ill, its properties far increased if the drink was hot. Apparently, by the 18th century, café au lait had become the object of a true craze and would soon be at everyone’s breakfast table. Do switch to simple coffee after breakfast time! The Wiener Melange is an Austrian coffee specialty. This Viennese Mix blends steamed dark-roasted coffee with milk and is topped with a hood of foamed milk. Sometimes (only sometimes) a dollop of whipped cream is added. 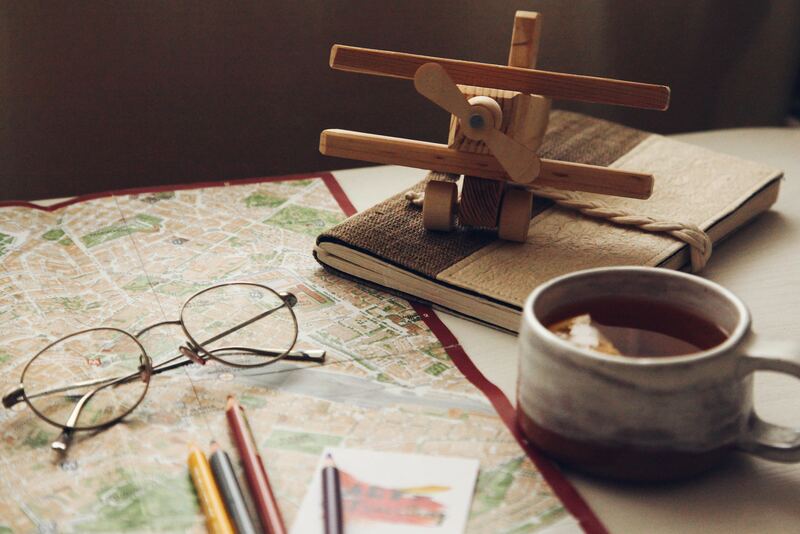 To enjoy in the world-renowned local coffee houses. 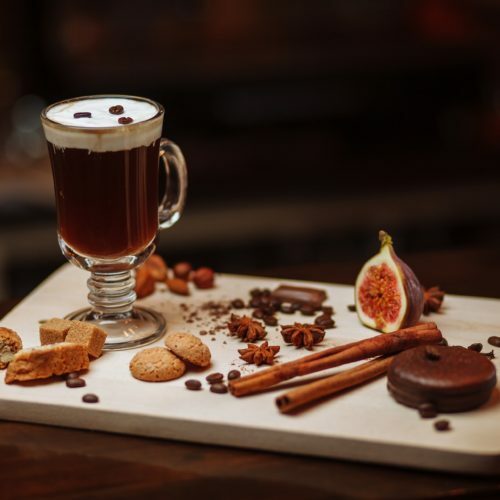 The incredible coffee-house culture began at the end of the 17th century when the Armenian spy Deodato, founded the first coffee house in Vienna. However, locals still attribute the achievement to Jerzy Franciszek Kulczycki, an officer in the Polish-Habsburg army who liberated the city from the Turkish siege. Soon after, he started serving the drink - apparently dressed in Turkish attire - with an addition of sugar and milk to make the bitter beverage more agreeable for his compatriots. And so it all started. The Viennese coffee house is described as a place “where time and space are consumed, but only the coffee is found on the bill”. In fact, it has always been a place to spend long hours, reading the newspaper, exchanging news and discussing new ideas. Attended by philosophers and writers, some even had their mail sent there! The second largest coffee exporter in the world (first for the Robusta quality), Vietnam “owes” its thriving coffee culture to the French who introduced coffee plantations in the 1800s. 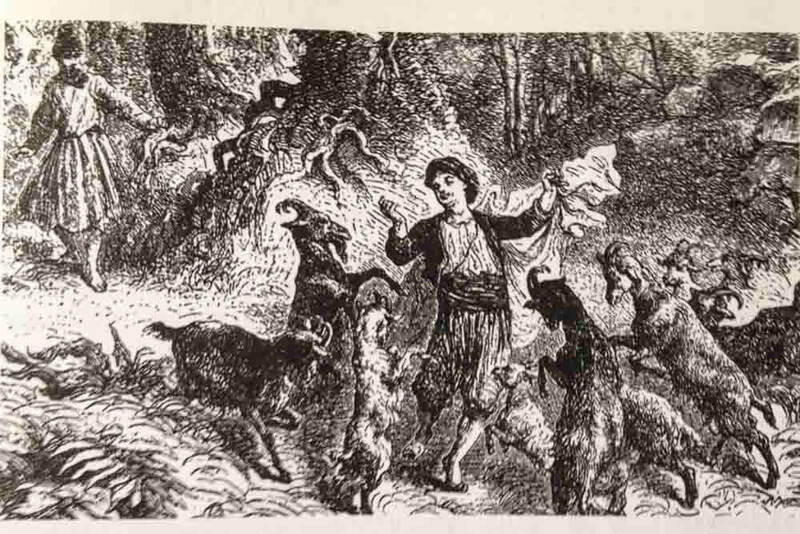 But the French idyll was soon shattered by a minor yet fundamental inconvenience: Vietnamese people did not drink milk, cows were as rare as swimming suits in the Arctic and, where milk was present, it did not last very long in the heat. How is one to make their breakfast café au lait in these abysmal conditions? Luckily, in 1864 an American figured out a viable way to conserve milk that solved all their problems: condensed milk. Now cafés, both casual side-street stalls and more formal indoor environments, gather people of all ages, sitting long hours in conversation. Ca Phe Sua Da (Iced Milk Coffee) is so ubiquitous, it has acquired almost a romantic status and it’s even mentioned in songs. 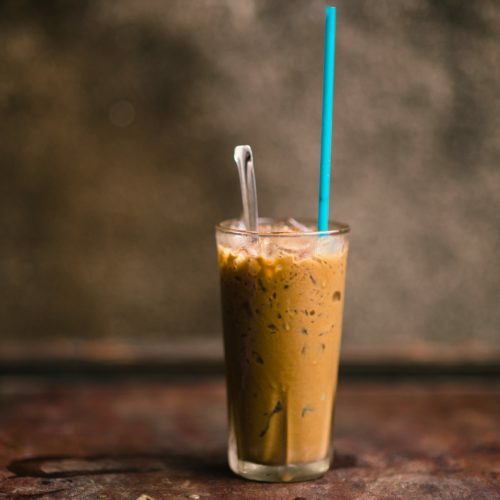 Its preparation is almost ritualistic: the coffee inside a filtered metal can is brewed directly on top of a glass of condensed milk, then ice is added. It takes around ten minutes, of waiting, sitting, watching the coffee dripping in the glass. The result is a refreshing, caramel-flavoured, strong and intense coffee cutting through the sweetness of the milk, giving you respite from the afternoon heat. Popular in Hong Kong and some parts of China, this drink combines the British quintessential tradition of milk tea with a caffeine boost. And a very romantic name. The term yuanyang refers to mandarin ducks, usually appearing as a couple, with the male and female being very different in appearance. This symbol of marital love has thus come to represent the unusual pairing of the drink. 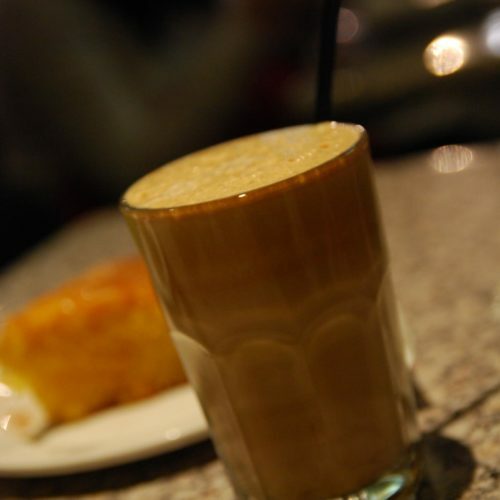 Consumed both hot and cold, this beverage mixes coffee with a higher proportion of Hong Kong-style milk tea, that is black tea with milk (often evaporated or condensed milk). The result, found among street vendors, is a sweet and creamy drink. 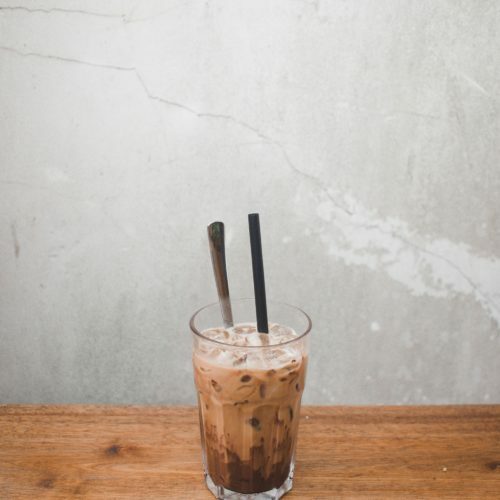 This Thai Black Iced Coffee contains a blend of Robusta beans and roasted grains, such as soybeans, corn kernels and sesame seeds. It’s sharp flavour can be mellowed by adding condensed milk. The word oleang (or oliang, oleng) comes from the Teochew dialect spoken by the Thai Chinese community, revealing its Chinese origin, and means black ice. 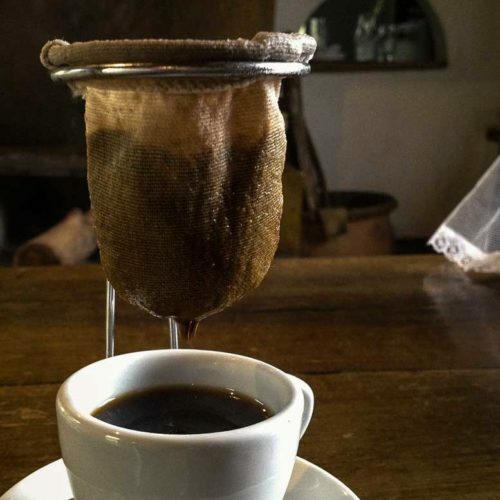 Traditionally, it is brewed in a sock-shaped cloth filter directly in water, also popular in Central and Latin America. It can be found at rustic restaurants or at street-side stalls. With no more than a little effort of the ear, it's easy to probably guess what Kan Kohi is. You can’t? Come on, say it out loud. That’s exactly what is it: canned coffee! Extremely popular in Japan, it is sold for example at vending machines all around the country. 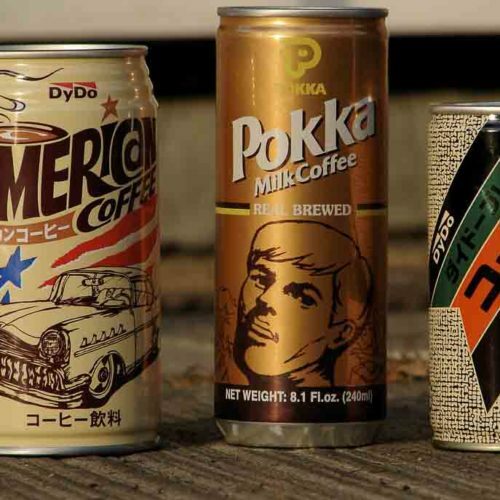 When it first started to appear in the 60s and 70s, the Japanese went crazy over this stuff. 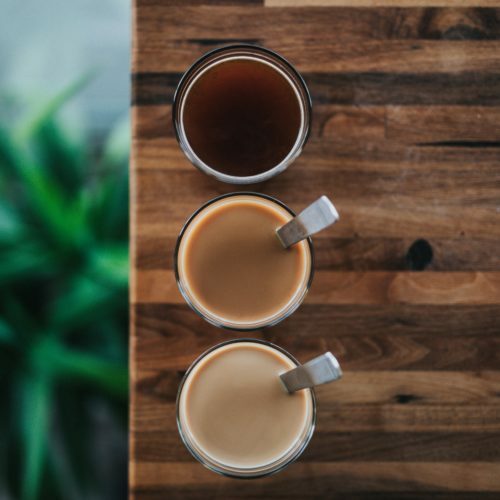 Black coffee, milk coffee, low sugar or the less common flavoured coffees are available usually in both hot and cold versions. Cans come in a variety of colours and some seasonal versions are made as well or for special events, a fact which has created a small niche of collectors (but not a big market). Do not sip while walking: wherever you are, just stop, have your drink and then you can move on. It’s a traditional drink usually consumed in the small country villages of central Mexico where the climate is cold, rather than in the big cities. 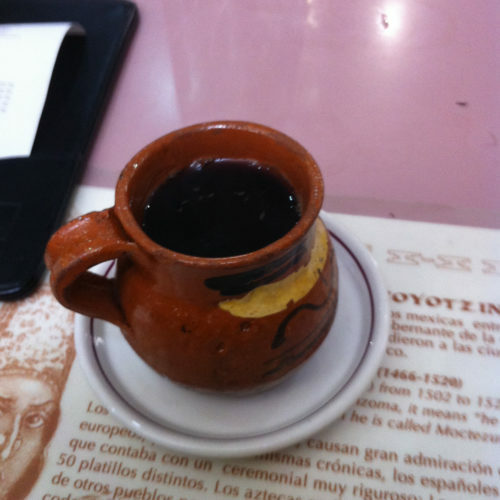 The drink, prepared to boost the soldiers’ energy during the Revolution, was said to be a favourite of Emiliano Zapata, one of its leading figures. It is made by mixing coffee with cinnamon and piloncillo, also known as panela or raspadura in other Latin countries, which is unrefined whole caned sugar. The coarsely ground coffee beans, sometimes even left whole, blended with the other ingredients are brought to a boil inside an olla, a large clay pot. It is said this process is fundamental to give its particular flavour: rich, smooth and intense. This “small coffee”, as it’s called in Brasil, is a symbol of hospitality and conviviality: it is served almost anywhere at home and at the office, at the desk as much as in meetings. Coffee was introduced to the country by the French and by 1840 Brasil was the Top World producer and has since kept its position unchallenged. Brazilian economy and culture have been deeply influenced by this bean. The country exports the best it has to offer, while Brazilians drink the lowest (still high quality, though) quality beans. So, you can enjoy pretty cheap coffee there. Most locals drink their coffee with plenty of sugar to offset the bitter taste of lower grown beans and generally have it black. And cafezinho too. Cafezinho prepared by melting sugar in just-below-boiling-point water and mixing in the coffee. Traditionally this was then poured through a “sock” drip filter made of cloth, either a hand one or on a stand. This makes for a sweet and intense brew. Do you want to be one of these people who is a snob about Espresso but actually knows what they’re talking about? Would you like a handy list of coffee’s health benefits so you can justify your coffee addiction to your partner? Have you ever asked yourself what the deal is with decaf? Do you wonder if your coffee habits have a negative impact on the environment or the people who produce it? If the answer to any of these is YES, welcome to our brand new WayCap blog where we’ll dive into the wonderful world of coffee. We’ll be looking into the questions above and touch on topics ranging from sustainability to health and beauty, from coffee basics to fun facts, from recipes to pop culture. Follow us on social media to keep updated about new posts!